Provide comfort for the family of Umberto Salvi with a meaningful gesture of sympathy. Umberto Salvi, 91, a resident of the Bronx since 1970 and recent resident of Hopewell Junction, died on March 31, 2019 at Vassar Brothers Medical Center. Born on August 26, 1927 in Italy, Umberto was the son of Antonio and Santa (Tarli) Salvi. He married his wife Domenica Sensi of nearly 65 years on December 2, 1954 in Italy. Umberto was a proud farmer in Italy as a young man before re-locating to Switzerland to become an Iron Worker. He immigrated to the United States in 1970, settling in the Little Italy neighborhood of the Bronx. Umberto worked in the construction industry until he joined the Bakers Union working for the Stella D'Oro company until retirement. Umberto and his family were active parishioners of Mount Carmel Church in the Bronx. Never one to relax, Umberto was always happy to tend to his gardens, maintain and repair his properties and enjoy an afternoon sharing his life experiences. Later in life, he along with his loving wife, took great pride and enjoyment in spending time with their great-grandchildren. Never a holiday would pass without his homemade wine and sausages being enjoyed by all along with some words of wisdom. In addition to his wife, Umberto is survived by his daughters, Giuliana Scanga and her husband Nicola of Hopewell Junction, and Mafalda Salvi of Fort Lee, NJ; his grandchildren, Lisa Mekeel and her husband Tom, Silvia LeMon and her husband BJ and Anthony Scanga; his great grandchildren, Ella, Owen, Nicolas and Benjamin; and his brother, Domenico Salvi of Italy. Calling hours will be held on Tuesday, April 2 from 4-8pm at the McHoul Funeral Home, Inc., 895 Route 82, Hopewell Junction. A Mass of Christian Burial will be held on Wednesday, April 3 at 10am at St. Columba Church, 835 Route 82, Hopewell Junction followed by entombment at Fishkill Rural Cemetery. 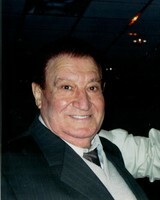 Please visit Umberto’s Book of Memories at www.mchoulfuneralhome.com. Consider providing a gift of comfort for the family of Umberto Salvi by sending flowers.